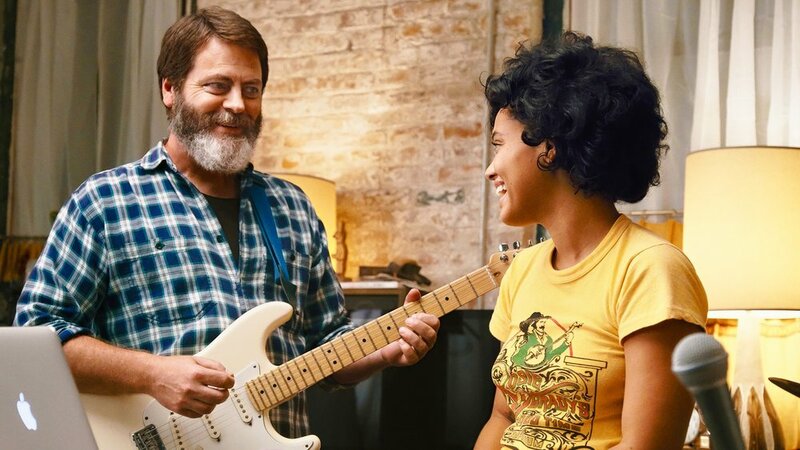 I flat out fell in love with Hearts Beat Loud, Brett Haley's fourth feature, starring Nick Offerman as a widowed dad and owner of a record store, who sees his weekly "jam sesh" with pre-med daughter Sam (Kiersey Clemons), turn into musical gold. Haley wrote the part (along with Marc Basch) specifically with Offerman in mind and crafts a charming, thoughtful, and honest exploration of how relationships impact us, time can never be slowed down, and, by accepting the challenges life throws our way, we become stronger, even when the challenges seem to be conspiring to break us down. Like a perfectly pitched pop song, Hearts Beat Loud may hit some predictable beats, but when a film is this dialed in with its characters, as well-acted and well-written as this one is, the verse-chorus-verse structure of the film still feels plausible, real, and keeps us emotionally invested. Plus, we are likely tapping our toes with catchy, smart, and emotionally rich songs written by Keegan DeWitt, adding another level of appreciation and admiration to the film's satisfying tone and timbre.